Me at the Harrogate Crime Festival - my secret life as a thriller author revealed! It's my sixth fastiverary this month - 6 years since I started intermittent fasting. This month, my mum also died. My mum Barbara as an 18-year-old student nurse in 1959. It's made me think about what we are here for, how to look after each other, and what we leave behind. In this very personal podcast, I explore why caring for yourself is the key to sustainable changes, why our governments need to do much more to support healthy eating, and how important it is to do what we can to stay happy and well - but why, ultimately, we can only do so much. Tiny olives on the tree my mum bought as a house-warming gift seven years ago. ut when she is drawn back into the trial that defined her career, a case of twisted family betrayal, she realises her own reckless pursuit of justice may have helped the guilty go free. As Georgia gets closer to the truth behind the Slater family, something happens that threatens not only her career - but even her own sanity. At first, she fears her guilt around the events of her terrible childhood is finally coming back to haunt her. Do you love reading fiction? Then read more about my novels on my website. Today's podcast is all about you - we asked our Facebook group members for their questions about gut health, diet, 5:2 fasting and more. We even look at the thorny topic of cellulite - with the answers supplied by Kate along with Helen Phadnis, our dirty diet registered dietitian and expert in all things food and health related. In today’s podcast, Kate talks about how she stumbled on a new chocolate that could help your gut. 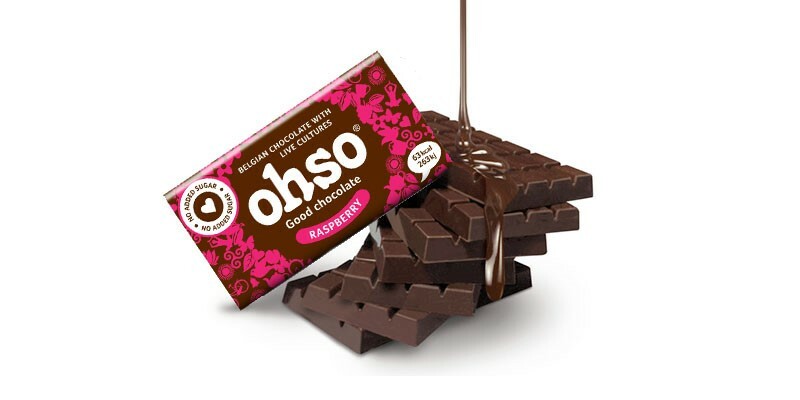 She talks to Andrew Marten of Ohso chocolate about how his own IBS was the trigger to changing direction and launching chocolate bars. Find out why chocolate can get more good bacteria to your gut better than yogurt or kefir, the pleasures of eating miniature bars, and why peppermint is a very domineering flavour. Find out more at ohso.com and see the website for 25% off your first order (UK listeners). ‘Live’ foods which add back the good bacteria are the perfect way to ‘eat dirty’ – and dairy kefir can be a delicious way to enjoy the benefits. It used to be tricky to get hold of, but now different brands are appearing in the chiller cabinet, as well as in specialist health shops. Read more at The Collective Dairy. If you’re on a mission to improve your diet – and those friendly bacteria – then raw pickles like sauerkraut and kimchi are one of the easiest ways to add the good guys back in. And in this edition, Kate chats to Mendel of Loving Foods in Manchester, whose journey to improve his eczema led to the creation of a whole new family business. Fermented drinks including the ‘champagne’ of Tibet. We also debate the best use of kimchi and kraut (my money is on a cheese toastie) and learn why cabbage, turmeric and black pepper combine to form the perfect pick-me-up in a jar. Loving Foods also helped with their tips on fermenting veggies in The Dirty Diet book. You can buy their products from Amazon and direct from their website, as well as in health food stores (mostly in NW England, but now they've got new premises, the distribution is expanding). And buy The Dirty Diet book here. In today’s Quick and Dirty podcast on a single topic. Kate explores the D in Dirty - which is all about diversity, especially veg and fruit - how adding more variety and quantity into your diet will reap terrific benefits - and give your tastebuds and friendly gut bacteria a treat! Evening meals that end your day on a high! Plus why eating your greens - and reds, yellows, purples and whites - doesn't have to be expensive or time-consuming. We all have trillions of bacteria living on and inside our bodies – but how can they affect weight loss, diabetes and even your mood. In this interview with Dr Lesley Hoyles from Imperial College in London, you’ll hear all about the gut microbiome – the collection of bacteria and other micro organisms that co-exist with us in our guts, and influence so many aspects of our health. The balance of bugs is affected by countless things, from how you were born, to the antibiotics you’ve taken, and whether you eat live yogurt or onions. If you want to nurture your own microbes, The Dirty Diet is for you. You can read Lesley’s take on the future, plus lots more practical advice on looking after your friendly bacteria – and keeping the bad ones in check – in The Dirty Diet. Or buy The Dirty Diet book here for UK delivery. And here for international delivery. In today’s episode Helen and Kate talk dirty about carbohydrates – why they’re an essential part of our diet, and why cutting them out is so difficult to maintain. We also reveal our own top of the pops when it comes to starchy carbs… and talk about exciting new research on 5:2/Dirty Diet-style fasting and how it may benefit our health. Featuring Kate Harrison and dietitian Helen Phadnis - also known as NomNomNerd! Carbs are fuel for the body - and the fibre they contain fuels our friendly gut bacteria too. But they've been demonised on many diets, so Helen explains their role in nutrition. Kate also tells how low-carb was only ever a short-term fad for her. Plus we reveal the simple cooking method that helps carbs become even tastier - and more beneficial to your microbiome. Kate also talks through the results of new research showing the potential health benefits of intermittent fasting, carried out by the University of Surrey. You can read more about that here or download the full (technical but interesting) PDF. If the talk of oats has made you want to tuck in, there’s a free recipe for my very delicious Dirty Diet style choc-cherry granola in the Blueprint, Sign up for it here - it's completely free. 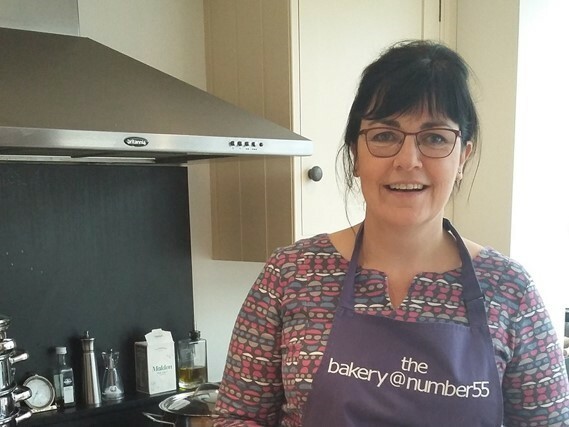 Bread has had such a bad press lately – we talk to a campaigning baker who has found ways to enjoy her own produce despite a sensitivity to wheat. Discover the secrets of good bread and why it has a place in your diet. If you’re boggled by bread or afraid of Big Bad Gluten, this podcast is a must-listen. Because bread and other grains can form a brilliant part of a healthy diet for most of us. How she’s managed her own sensitivities so she can still enjoy her own creations. 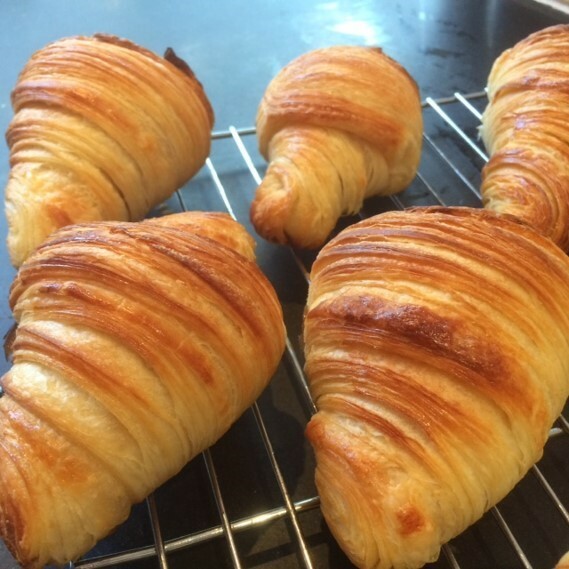 How sourdough croissants are a labour of love. Plus how to find good bread if you don’t have time to bake your own. And Kate talks about her own experiments with sourdough baking – and the tips she includes in The Dirty Diet: Ditch the Guilt, Love your Food. Fed up with over-hyped and overpriced ‘superfoods’? In the second episode of our brand new podcast, we look at some unexpected new superfood candidates, including smelly cheese. In the second episode of Live Happy Eat Dirty – we celebrate the positive steps we can take to be healthy, happy and in good shape. 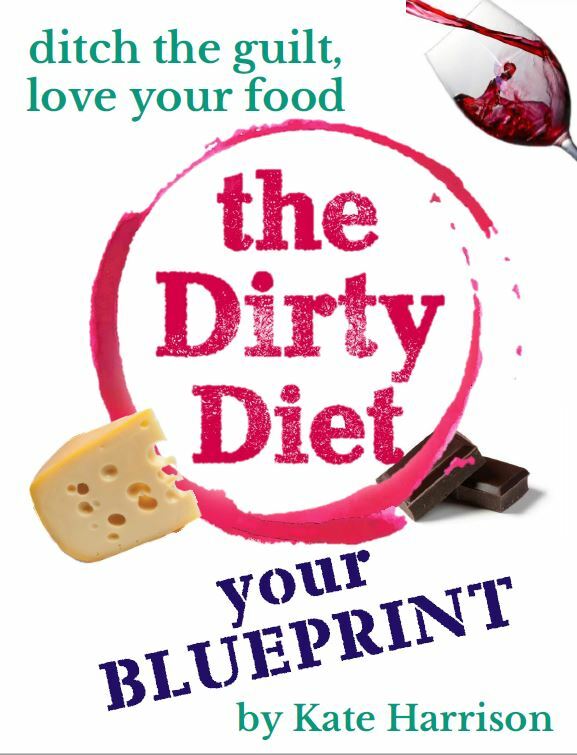 And we preview the new book, The Dirty Diet – ditch the guilt, love your food. Featuring Kate Harrison and dietitian Helen Phadnis – also known as NomNomNerd! Gorgonzola or goji berries – which is the real superfood? Why flapjacks and fruit crumble are part of a healthy diet…. And hooray for crunchy-munchy foods and coffee! We also talk about the idea of ‘smart harvesting’ and how the microbes in our gut explain why some of us put more weight on than others. For lots more information about the effect of microbes on your health and weight, we really recommend the Gut Microbiota for Health website. 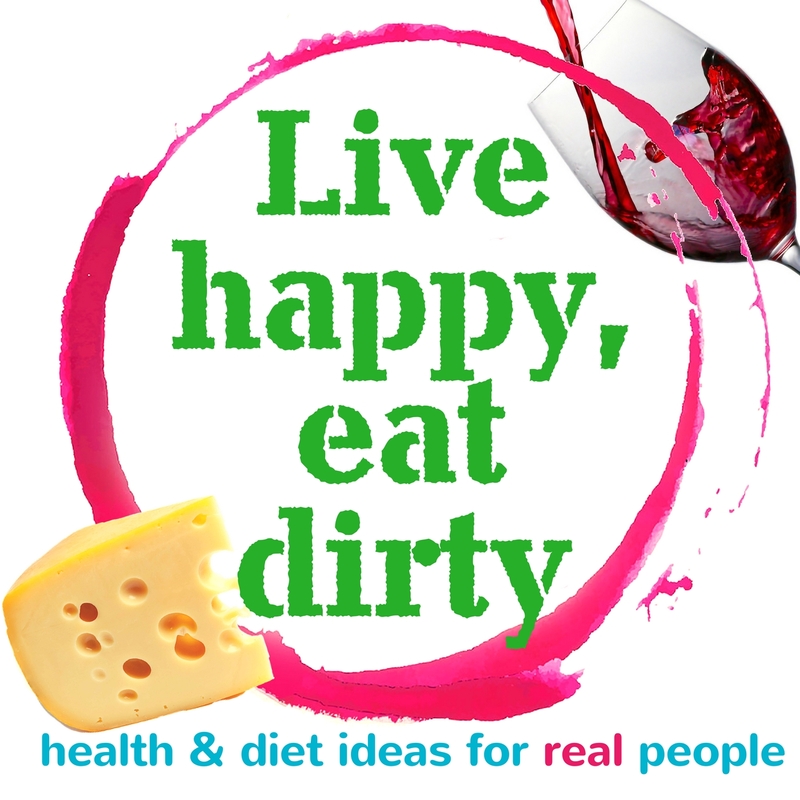 Welcome to Live Happy, Eat Dirty – a podcast full of quick and dirty health and diet ideas for real people, hosted by me – Kate Harrison. *Why Kate hates clean eating and why dietitian Helen Phadnis worries about the effect on dieters. Sign up for your FREE Blueprint here. Ideas and interviews from the worlds of psychology, nutrition and more. If you loathe detoxes and clean eating, but love evidence-based tips, staying a healthy weight and eating well – you’re in the right place. Because you can be slim without giving up cheese, bread OR wine. You can be fit without ever trying a triathlon. And you can enjoy your life without having to be a saint. Ditch the guilt - a happy, dirty life is so much more fun. The first episode of the 5:2 Diet Podcast for 2018 comes with exciting news. Kate Harrison explains how the podcast is going to expand to include more tips, ideas and interviews to help you stay a healthy weight, and feel better in body and mind. House-training for humans – the science of good habits. Plus, Kate will be chatting regularly to dietitian and nutrition expert Helen Phadnis, and many other people in the food, health and psychology world – as well as people who’ve achieved amazing things with this way of life. Kate's guinea pig dieters lost up to 15lbs in only 4 weeks on The Dirty Diet, and also saw significant improvements to their gut health, digestion, skin and sleep. The new approach also means a new title – Live Happy, Eat Dirty: health & diet ideas for real people. Kate explains what that means and what’s coming up. If you’re already subscribed to the podcast, you don’t need to do anything to get the new episodes – but if not, subscribe through iTunes or your podcast provider. To read more, go to thedirty-diet.com or preorder the new book. In this special, 5:2 food and health writer Kate Harrison talks about going green – eating more veggies to superpower your fast days, your weight and your health. 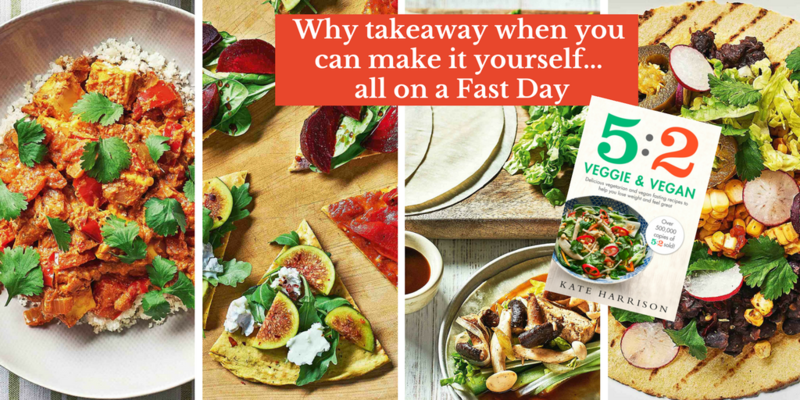 To celebrate the publication of her new book, 5:2 Veggie and Vegan, Kate talks about her own history as a vegetarian since her teens, and her tips on how to max out the plant content of your diet to keep you, and your friendly bacteria, in great shape. In this New Year special of the 5:2 Diet Podcast, host and author Kate Harrison offers encouragement and practical advice on the 3 strategies that will help you lose weight and keep it off for good. Plus, she shares her thoughts on detoxes and ‘miracle’ diets… and why she believes intermittent fasting is a more sustainable bet. Plus Kate also explains how she sets goals and ambitions for a new year, using a fun 5-step programme that encourages you to dream a little, and then plan ways to make dreams come true (from getting a better smile, to changing career or moving countries!). Read much more at www.the5-2dietbook.com/podcast16 or subscribe on iTunes - and download free samples from Kate's books on Amazon. For much more on 5:2, see the website - and to share YOUR answers and responses to all 30 Challenges, join our free, friendly & private Facebook group. This podcast is a summertime special to accompany my new summer e-book 5:2 Summer Ready, which takes favourite tips, recipes and ideas from my four 5:2 books – it’s the ideal short introduction if you’ve never read a book on intermittent fasting. (If you do have my other books, you won’t need this new e-book – but this podcast will be perfect for re-inspiration!). And even if you're in the southern hemisphere, where I know summer is a memory right now, I hope you'll find it useful! The podcast includes tips on boosting your fasting success; my views on the 'summer body' controversy; ideas for enjoying that summer feeling all-year-round AND, a specially recorded 10-minute meditation (which you can also download and listen to separately). Go to the shownotes to read more and find links to fitness apps and much more. You can also download the Meditation separately to use whenever you like. This specially recorded 10-minute meditation accompanies the e-book, 5:2 Summer Ready, which takes favourite tips, recipes and ideas from my four 5:2 books – it’s the ideal short introduction if you’ve never read a book on intermittent fasting. The meditation combines positive messages and relaxation techniques to help you on fasting and non-fasting days. This will take around 10 minutes and help you feel relaxed and inspired. If you enjoy it, let me know and I’ll record more! Read more about the book and the techniques in the shownotes. Important: Because you’re aiming for a state of relaxation, you should not use this when you’re in charge of machinery, driving a car or otherwise need to be completely aware of your surroundings. In Podcast 12, we’re featuring our first dieter from New Zealand, Trudie McCallum. Trudie had spent almost three decades following a variety of diets, losing and regaining up to 100 kg and also spending up to NZ$1000 (around £500) ‘just to get weighed.’ Then in 2013 she discovered 5:2, lost 13kg (28 pounds) and is loving the freedom it’s given her and her husband Kenny, who has also lost 10 kg. Trudie talks to Kate Harrison about the careful planning that allows her to eat three small meals on a fast day, the improvements she’s seen in her confidence and blood pressure readings, and how she’s spreading the word to others about intermittent fasting. 53-year-old Trudie, who works in retail, is also a big fan of the 5:2 Facebook group, where people all over the world are sharing their successes. See how Trudie’s enjoying her new life at www.the5-2dietbook.com/podcast12 - subscribe on iTunes - and download free samples from Kate's books on Amazon. Kate also has news of her summer special podcast and mini Summer Ready e-book new for June 2015. In Podcast 11, we feature a remarkable woman who set out to lose 11 stone in weight 15 months ago… and has lost nine stone/57 kilos and gone from a size 32 to a UK size 14… After a lifetime of dieting, Sharon Munsey from Bideford in North Devon had very low expectations when she started doing 5:2, but now she’s gone from a size 32 to a UK size 14 and has just taken up running for the first time, at the age of 54. Sharon talks to Kate Harrison about how she’s lost her chocolate cravings and fills up on soup and porridge instead, and the thrill of shopping on the high street again after decades of buying ‘big tents to wear’ online. She also reveals how she eats on Fast and non-fasting days, and loves how fast days make her feel. Sharon’s story is proof you can change your life through intermittent fasting – whether you want to lose 10lbs or 10 stone. See her before and after photos – they’re so inspiring, from her trim new shape to her newly emerged cheekbones! - at www.the5-2dietbook.com/podcast11 or subscribe on iTunes - and download free samples from Kate's books on Amazon. In Podcast 10, Kate talks to the truly inspiring Simone Illger, who has lost over four stone in weight despite a disability and mobility issues that make exercise very difficult. Thalidomide, a drug taken by Simone’s mother during pregnancy, led to her being born with severely shortened arms and legs. After a lifetime battle with her weight, Simone combined simple calorie-counting with 5:2, and hasn’t looked back. She has a wealth of tips, ideas and great observations about why fasting has helped her achieve her goal, and allowed her to become much more active and confident into the bargain. Simone discusses how she turned her back on gastric by-pass or other weight loss surgery and found the answer in fasting twice a week; talks home gyms, sports bras, and unconscious eating. And she explains why mayo and peanuts are off the menu, but cauliflower steaks are now a firm favourite. Read the notes at www.the5-2dietbook.com/podcast10 or subscribe on iTunes - and download free samples from Kate's books on Amazon. In Podcast 9, Kate interviews Belinda Berry, who turned fasting into a gourmet experience by using the delicious local produce from where she lives in south-west France, to create light but tasty meals. Belinda and her husband Graham have lost 15 kilos each – that’s over 30 lbs - since beginning intermittent fasting in early 2013 – which means she’s now wearing clothes three dress sizes smaller. Even better, Belinda feels much better for it, with better blood sugar and cholesterol results… and a whole new attitude to her passion for cooking, which led to her publishing her own cookbook, 5:2 Healthy eating for life. So listen to the interview now to hear about how a huge Hawaiian shirt kicked off their weight-loss journey, and also how curries, cinnamon, and even ice-cream feature on the menu chez Berry. Read the notes at www.the5-2dietbook.com/podcast9 or subscribe on iTunes - and download free samples from Kate's books on Amazon. We interview a couple who’ve made 5:2 their joint mission – and between them, lost almost 9 stone (57 kilos) in weight… Lizzie and Kevin Baker from Wiltshire in the UK featured in my first cookbook, The Ultimate 5:2 Recipe Book, where we called them Mr and Mrs 5:2. They talk about how their rivalry has helped them stay on track, the health benefits of their new regime, and how they still enjoy wonderful home country cooking on fast and normal days. Read the notes at the5-2dietbook.com/podcast8 or subscribe on iTunes - and download free samples from Kate's books on Amazon.